Thomas A. Edison's first public recording: "Let us not forget" (1919). Starting at 0:28, Edison starts his speech with, "This is uh Edison speaking." 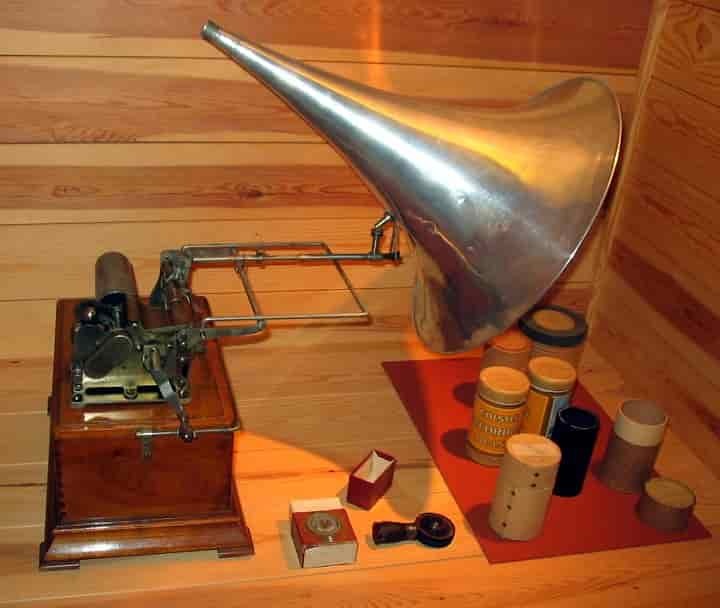 Edison is the inventor of the phonograph and his voice is thought to be the first recorded human voice when he recited the children's poem, "Mary had a little lamb". Though, a recent reproduction of that original tin foil suggests that the voice might be someone else's. Lieutenant E.H. Shackleton: "My southern polar expedition" (1910). Starting at 2:21, "After this, we four men had uh a thousand pounds to pull..."
Yes, this is THAT Shackleton, the Antarctic ice explorer who led his crew to survive an otherwise disastrous three-year voyage. - 0:05 "Why uh how do you do?" - 0:29 "Uh Did you see a fella'"
- 0:39 "Well uh how long have you lived here?" - 1:01 "Are you uh married?" - 1:17 "Well uh how far is it to the next..."
- 1:36 "Say uh down the road..."
- 1:55 "Say uh you're a pretty smart fella..."
- 2:29 "Say uh that's a very fine apple orchard..."
- 2:43 "Say uh what are you doing..."
- 3:00 "Say uh now I'm a lawyer..."
- 3:20 "Uh I noticed a hole in the roof of your house..."
"Congressman Filkin's home-coming" (1911). Vaudeville comedy routine by Steve Porter and Byron G. Harlan. Starting at 0:19, "Well, didn't he uh uh ... let me he he ... well I can't remember exactly." 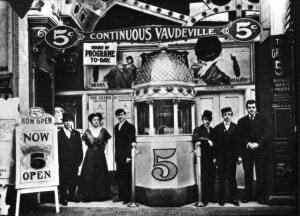 These are both classic vaudeville routines that were likely recorded so they could be enjoyed more widely. So these are professional performers who have performed their routines so many times, they could probably do them sleeping. And yet, they use filled pauses. Why? Well, this is just conjecture now, but I'd venture it's because it was simply normal speech at the time (just as it is nowadays). And one more data point of evidence against the notion that filled pauses and the like "degrade the language". The performers apparently felt that this was one way that their audience would quickly empathize with these comic characters as everyday folks. These were earlier incarnations of Bob Newhart. And no doubt, they too were preceded by earlier incarnations perhaps going all the way back to ancient times. But sadly, we lack recordings of ancient Egyptian button-down minds. I feel a certain nostalgia when I listen to these old recordings. Not, of course, because I lived during those days; but rather because I feel I would have fit right in: umming and uhhhing like everyone else, feeling perfectly normal about it and even blissfully unaware of how normal it is. *This is a post I drafted when the USBC Cylinder Archive was newly released. That was over a year ago, so some of the novelty is now gone, but the information I present here has not been presented elsewhere yet, to my knowledge. I had hoped to find enough samples to be useful for a modest corpus investigation, but there just isn't a lot of speech in the archive. So, I share it here for just for interest and nostalgia. **I've uploaded all four of these recordings as a playlist on SoundCloud here. As I find further samples in the UCSB Cylinder Archives, I'll upload them there.